I wish I could say that I enjoyed magic shell as a child. 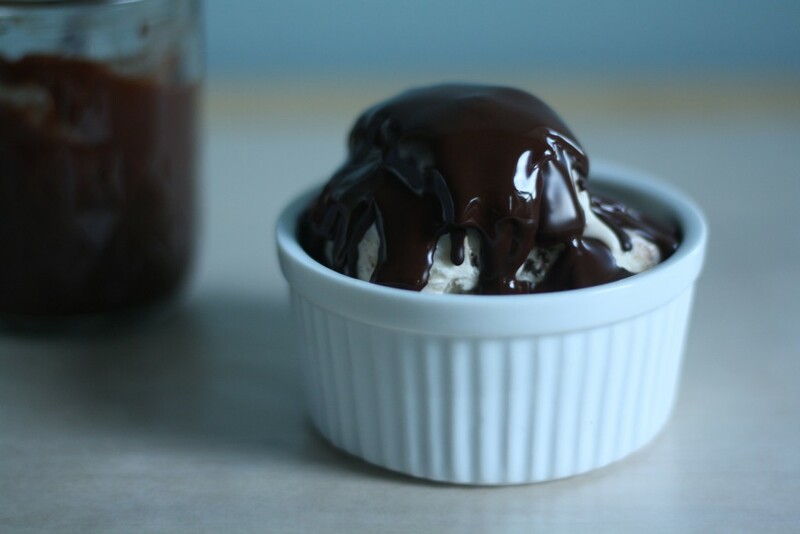 I was in college when I first found the chocolate sauce that “magically” hardens when poured over ice cream. The thrill of being able to crack through the thin shell of chocolate into the ice cream below was something I did enjoy for a good year in my dorm room with my new-found freshman freedom (I promise that image is not as sad and pathetic as it may seem). The other day I began thinking about magic shell again for the first time in years. I can’t exactly pinpoint the reason why but I was having one of those aimless thought bubble conversations with myself on the train and it was taking me to all points of random. I started thinking about what to make for dinner (surprise!) but then I got distracted and began reading over the shoulder of a lady who was engrossed in a magazine article with tips on how to throw a successful birthday party for a child. Then boom – it hit me – magic shell. As it turns out, people don’t like it when you read over their shoulders on the train and I never got to see the last tip. I guess I will never know all the secrets of how to properly calculate the child to piñata candy ratio. I am however certain that magic shell would be a big hit at your next party! No piñata required. Magic shell is also magically simple. 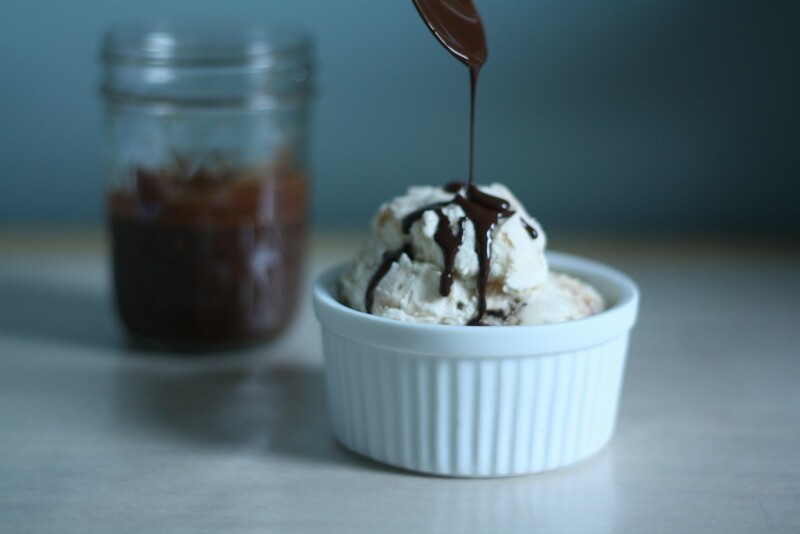 Here is the recipe: melt together chocolate and coconut oil. Bonus points if you add a hint of flavor and a pinch of salt. Did you know that TJ’s now carries coconut oil? You probably know that because you actually read The Fearless Flyer Newsletter. It comes weekly to our house and I just can’t keep up! All that text! Too many new products! They have mini hot-dogs wrapped in croissant dough now?! It is more like The Frequent Flyer, amirite?! Har. Har. Make sauce. 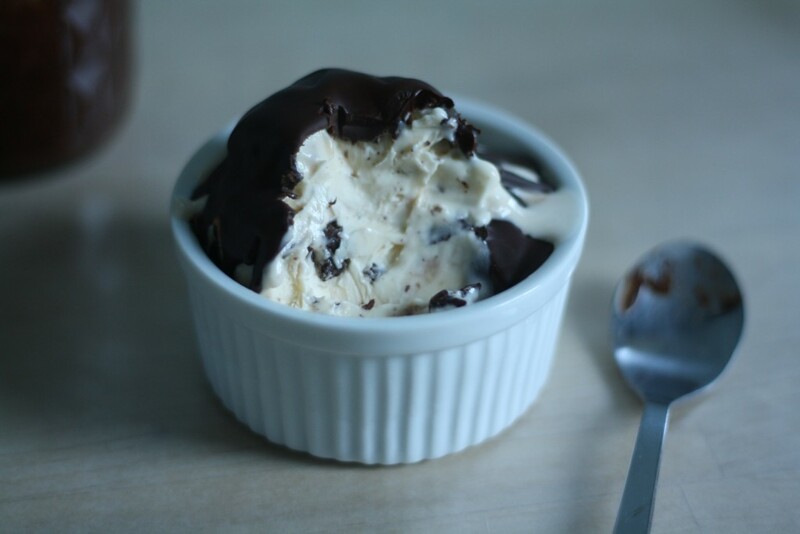 Pour over ice cream. Go forth and amaze everyone in your life. 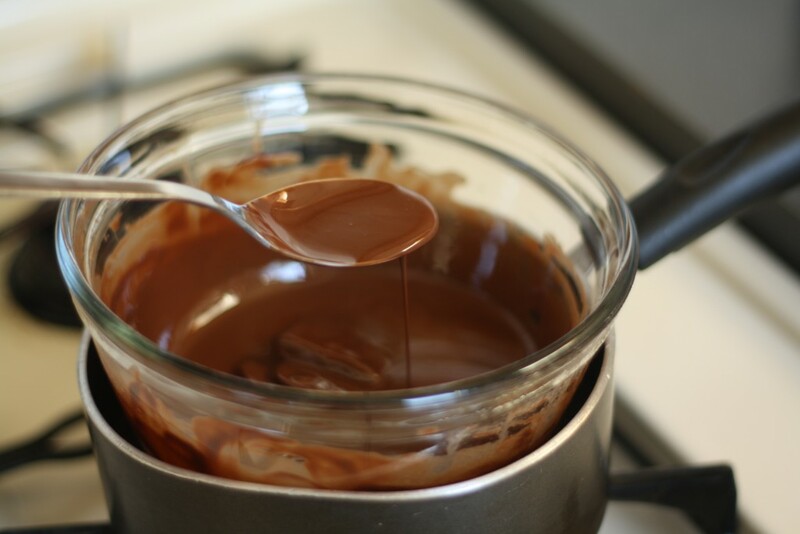 Heat the chocolate and coconut oil together in a heat-proof bowl set over a pan of barely simmering water until smooth and fully melted. Remove from heat and stir in the peppermint extract and salt. 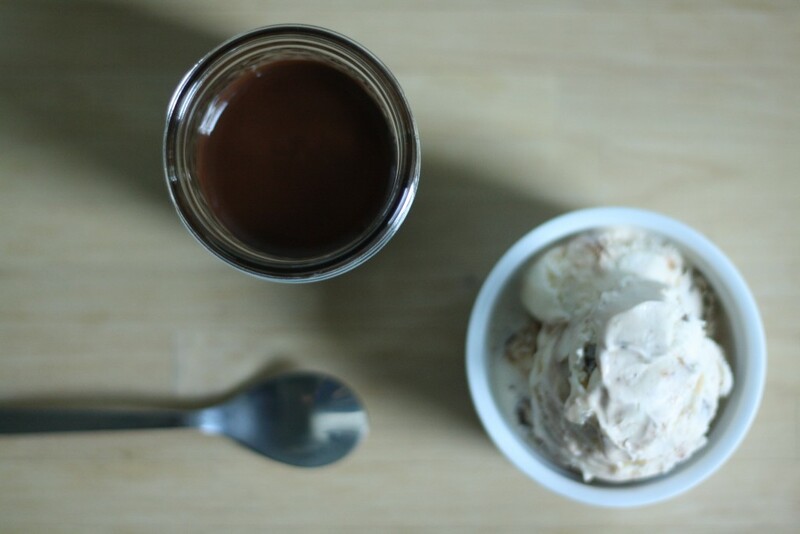 Let cool slightly and spoon over ice cream. It will “magically” harden after a few seconds. Store in the fridge. Reheat as needed. omigod. this is amazing. magic shell is literally the stuff of my childhood, and always reminds me of my grandpa. i am going to do this at home and blow his mind! 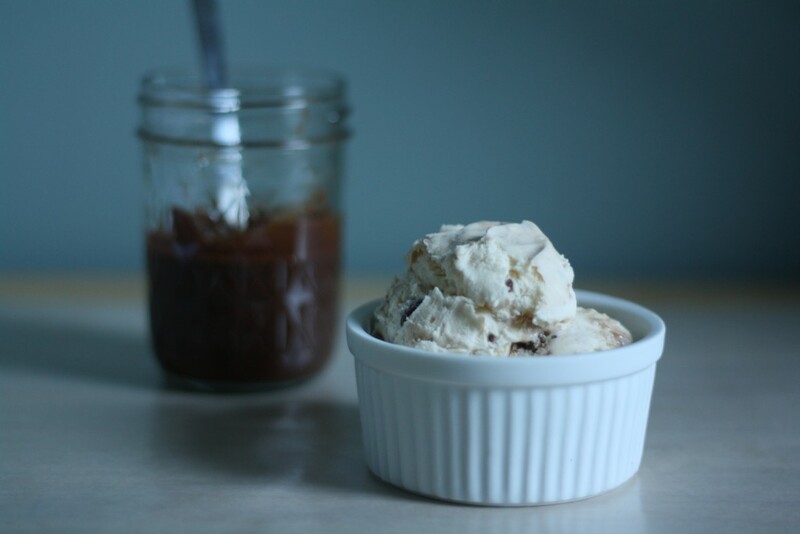 The homemade stuff is more than a nifty trick- it actually tastes good!